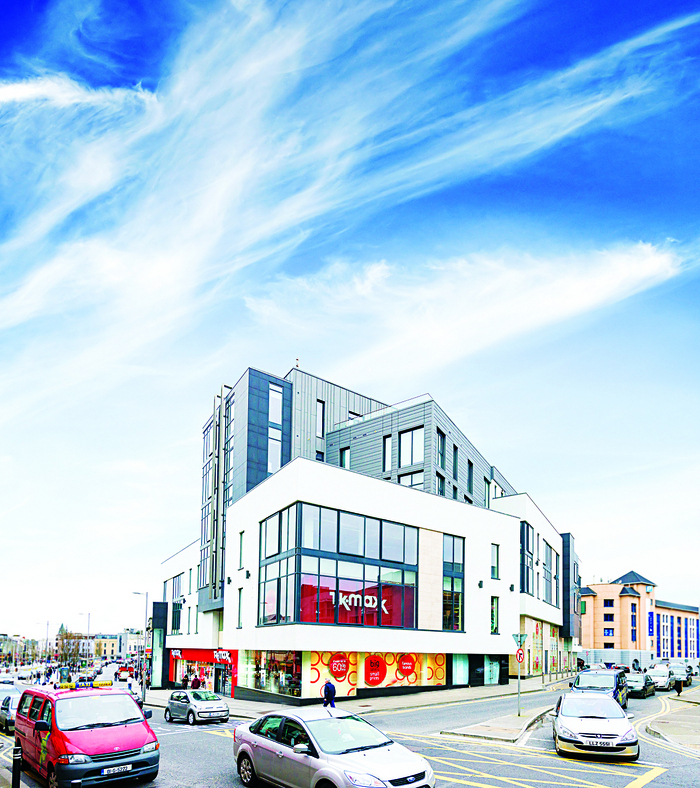 This impressive mixed use development overlooking Eyre Square, known as Citypoint, has come to the market for sale through DTZ Sherry FitzGerald. The property is an exceptionally well presented and strategically located five storey mixed use landmark building adjacent to Eyre Square. This prime investment property is anchored by TK Maxx on the ground floor (tenant not affected ), while the second, third, fourth, and fifth floors house a mix of fitted and shell and core office space and 17 apartments finished to an excellent specification. The selling agent DTZ Sherry FitzGerald is confident that the asset will attract strong local, national, and international interest given the asset has an established rental income of €992,315 per annum. Offers are being sought in excess of €11.5 million on the Citypoint development, Eyre Square, and further information can be provided by DTZ Sherry FitzGerald at 091 569181.